Dying for a Halloween roadtrip? Grab your broom because here’s a look at 10 far from hellish places named after the Prince of Darkness himself. Probably the most recognizable on the list is Devil’s Tower. Situated in northeastern Wyoming, this laccolithic butte is composed of igneous rock and is presumabely the core of an extinct volcano. 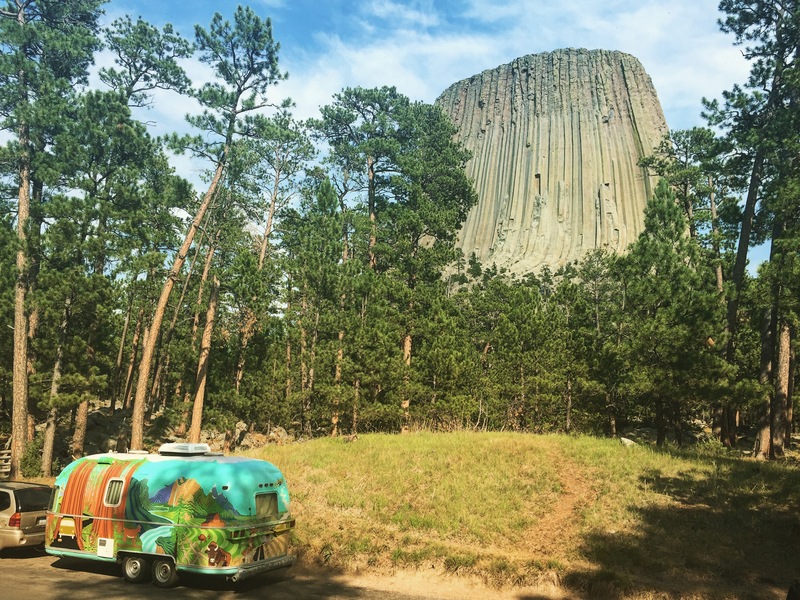 With an elevation rising to 5,112ft, it is a favorite spot for climbers, a sacred landmark to the Sioux, Kiowa, and Lakota tribes, and is often recognized as the iconic backdrop of 1977’s Close Encounters of the Third Kind. It’s out of this world! 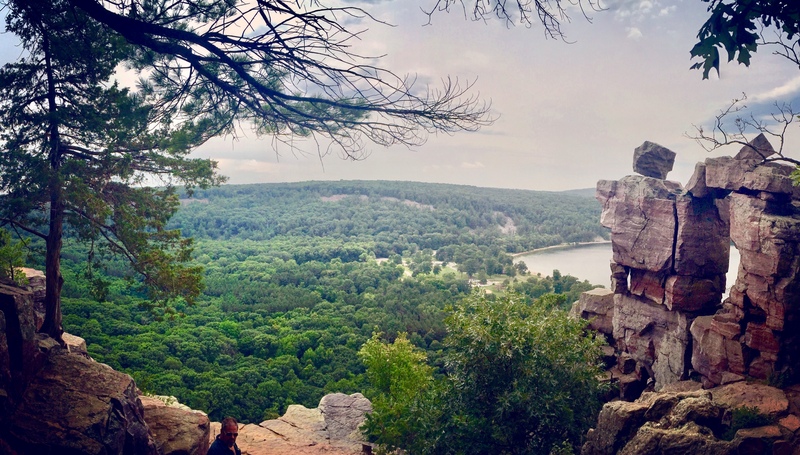 Devils Lake got its name partly by accident, as white trappers misinterpretted the local Ho-Chunk tribe’s name for the lake, Tawacunchukdah- meaning “Spirit or Holy”. The lake was originally a gorge of the Wisconsin River prior to the last Ice Age and is situated in a deep chasm with no visible inlet or outlet. Since the mid 19th century, the lake has been a popular recreational destination for boaters, hikers, climbers, and fishermen. Oregon’s coast is without a doubt one of the most beautiful coastlines in the country and luckily for visitors- it’s almost entirely public land. Devils Punchbowl is a naturally carved out bowl created when two sea cave ceilings collapsed. During high tide, the ocean water enters the bowl and the water churns and swirls around violently which visitors can observe from above. During low tide, you can access the bowl from the beach, and afterwards explore the many tide pools that surround it. 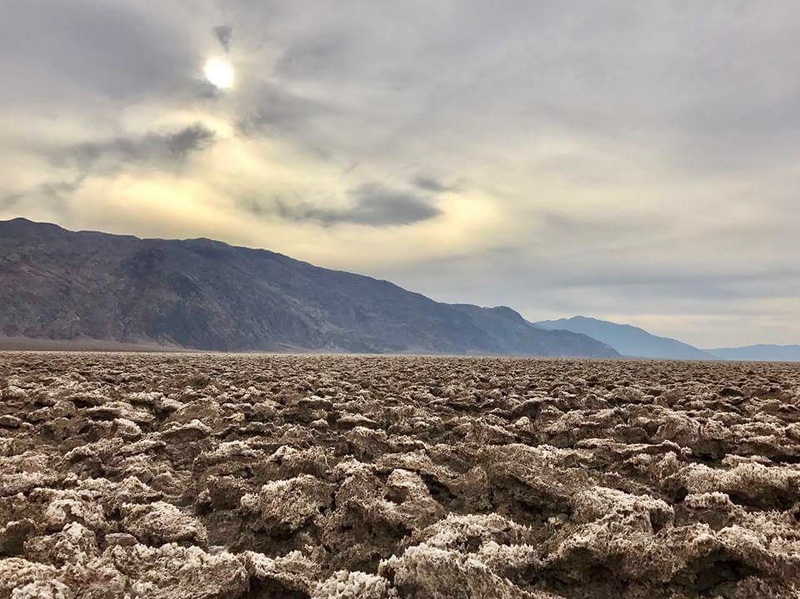 Perhaps the harshest environment in the United States is Death Valley’s Devils Golf Course, situated over 200ft below sea level in the Mojave Desert. This large salt pan earned it’s name back in 1934 when the National Park Guide book stated “Only the Devil could play golf on its surface”. It’s rough texture is due to the large halite salt crystal formations left behind by Lake Manly- a minerally rich body of water that at one time covered the valley floor. During the summer months, the area becomes an inferno with a scorching record temperature of 134 degrees Fahrenheit. 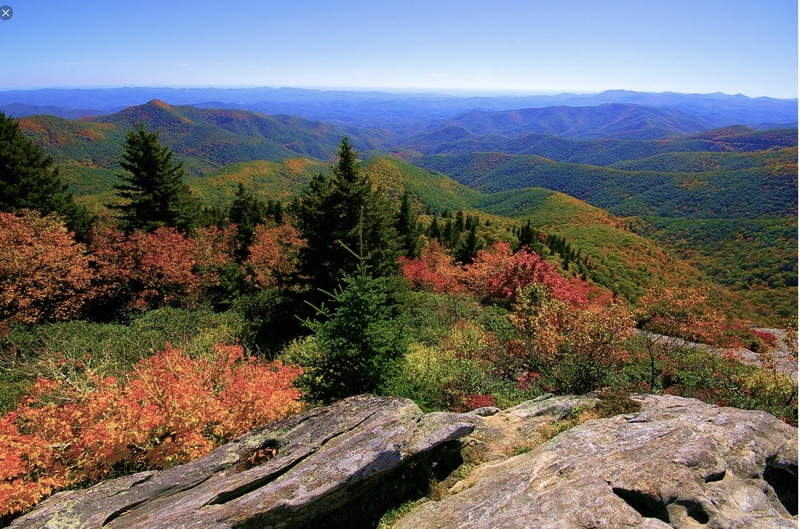 One of the best places to view fall foliage is the Blue Ridge Mountains of Western North Carolina. At milepost 422 of the parkway, you can start the trail to Devil’s Courthouse which takes you to a peak that offers panoramic mountain views of the Blue Ridge. Within Pisgah National Forest, Devil’s Courthouse reaches an elevation of 5,719ft and though the hike up can be strenuous, the heavenly scenery can’t be beat. After the hike, you can cool off around the corner at Courthouse Falls. Devils Garden is an awe dropping geographical feature that boasts an array of rock formations inside of Arches National Park. Rock fins and arches created from eroded sandstone are scattered around this geologically unique landscape. 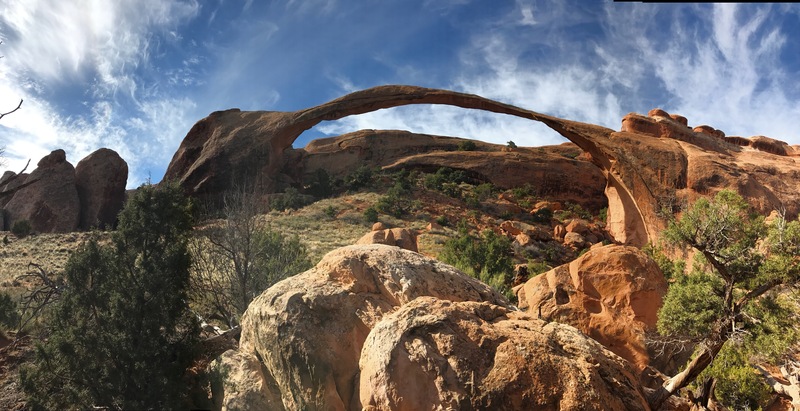 One of the most prominent features of Devil’s Garden is Landscape Arch, which is considered to be the 5th longest natural arch in the world. Located south of Yachats (pronounced Ya – Hots), Oregon, Devils Churn likely started as a narrow fracture or collapsed lava tube. It formed over many thousands of years by violent waves crashing and carving into the basalt shoreline, exposing it’s rich volcanic history. Today it’s 80ft wide where it opens to the ocean and is a powerful example of Oregons rugged landscape. 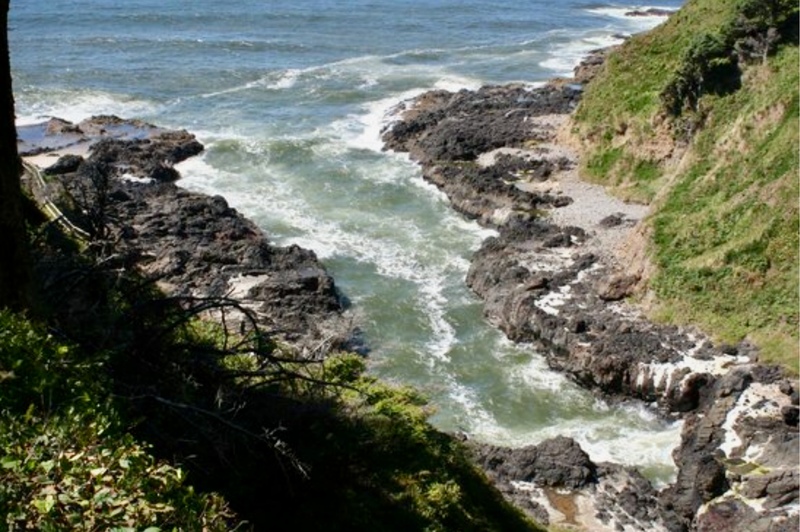 When visiting Devil’s Churn, please adhere to the safety signs as it can be a potentially hazardous area due to the hellish nature of the waves. 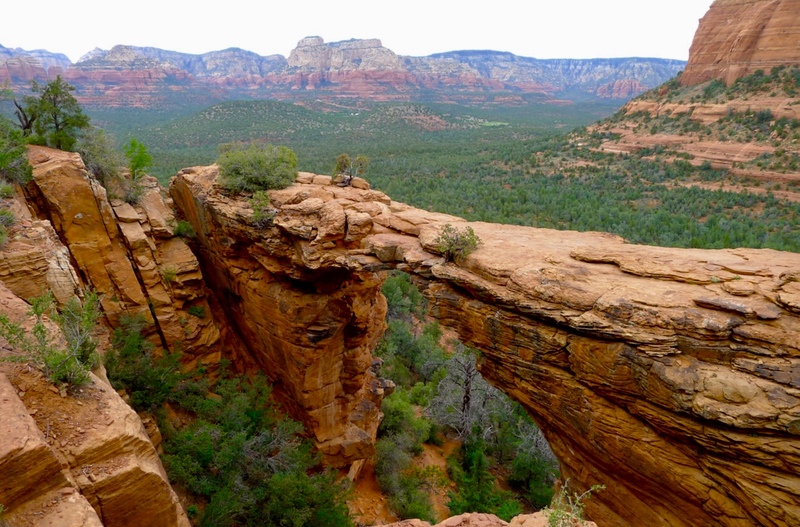 Devils Bridge is the largest natural sandstone arch in the Sedona area and a popular place for hikers. The trailhead of this moderate 1.8mi roundtrip trek starts at 4,600ft and gains another 400ft. Once up top, you get sweeping views of the red rock area. 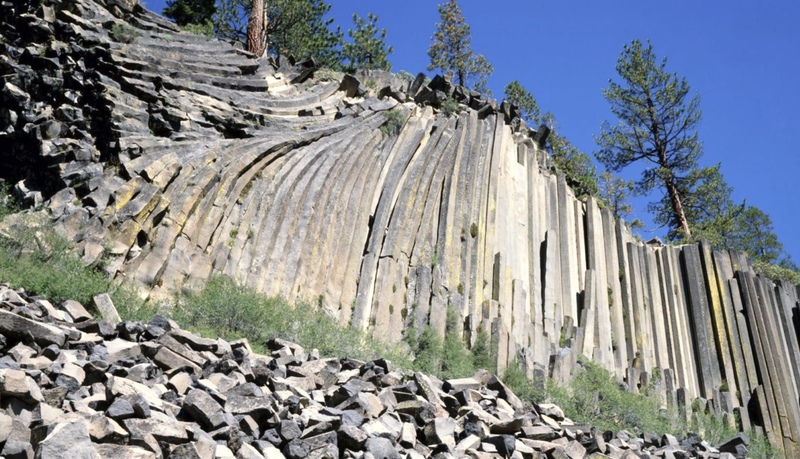 Established in 1911, Devils Postpile National Monument preserves one of the world’s best examples of columnar basalt. This towering geological feature is 60ft high and due to radiometric testing, it’s believed to have been created by a lava flow within the past 100,000 years. At one time Devils Postpile was within Yosemite’s borders, but later became public when the gold rush forced a boundary change. Today you can visit this amazing landmark along with Rainbow Falls. While in the area, also check out Mono Lake, the abandoned mining town of Bodie, and Wild Willys Hot Spring for a steamy good time! Located in a remote section of the San Rafael Swell, this slot canyon winds around the base of San Rafael Knob and heading west takes you to a beautiful section of narrows in the Devils Canyon Wilderness Area. 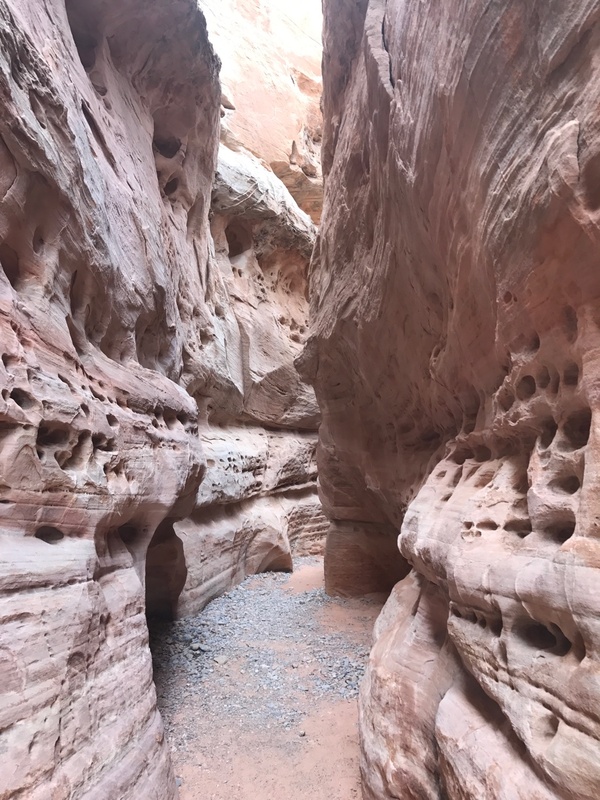 Hike there and back or make it a loop, just be mindful of the weather as slot canyons can quickly turn into a flash flood during heavy rainfall. We’ve been pulling Airstreams for 40 yrs We’ve seen the country. Live on long island . New York . Just want to say you’ve done a wonderful thing. Your Airstream is beautiful. The places you’ve been are breath taking. HOPE TO SEE YOU DOWN THE ROAD . TONY & MARY. Thanks so much Tony and Mary! If you see us out and about, flag us down! Safe Travels!